This recipe is the epitome of perfection! The beef was moist and tender. Instantpot for the win! Perfect corned beef! I accidentally sliced it with the grain for the first two slices and they shredded, but when I went the other way, they were perfect like in your video. It’s sonetimes hard to tell which way to go after it’s cooked!!! We’re having your hash this morning with the leftovers for breakfast. Perfect corned beef. I did the vegetables for 3 min. The carrots and potatoes were perfect but the cabbage was overcooked for my taste. I will definitely make again but next time I will cook the cabbage after taking the potatoes and carrots out. Made it yesterday. Fantastic use of the Instant Pot!! For my family, the cabbage wasn’t at all over cooked after 3 minutes. Our’s was soft-tender and you could cut it with a fork and knife. Pretty much like when I make this dinner on the stove. I bet the size of the wedges has a lot to do with it too. But that corned beef! I don’t think I’ll go back to longer cooking methods. Perfect is the right word!! Should we use a first cut or second cut corned beef? You can use either a flat or a point cut corned beef. For either cut, be sure to note the direction of the meat’s grain before cutting, and slice across/against the grain for beautiful slices. Would be difficult to double this recipe? I will be making it for the first for 12 people. 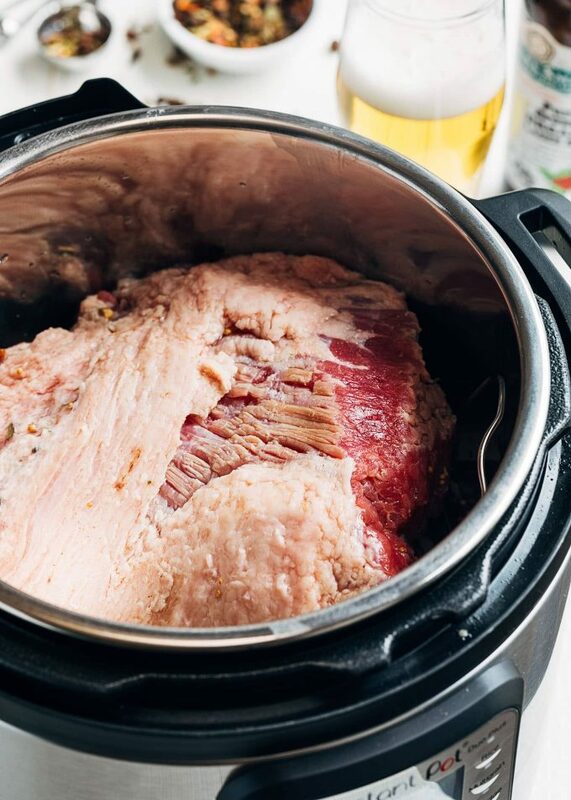 I make this in the Instant Pot 6 quart Duo plus, and I definitely wouldn’t be able to fit a larger or second corned beef in there. I haven’t tested times and quantities for a much larger brisket in the 8 quart model. In general, it’s difficult to stack briskets in an IP to double with this method because the liquid needed to pull out the salt and make the meat tender would come up too high in the pot for pressure cooking. I made this yesterday for St. Patrick’s day for my family. It was a BIG hit! Many thumbs up! It was also my first time using my Instant Pot. It’s an 8 quart and easily fit the 4.2 pounder. I rinsed the meat really well under cold water and patted it dry prior to placing it into my IP. I chose not to double the pickling spice but otherwise followed your recipe exactly. Delicious! There have been requests now to add this into regular dinner rotation. Just finished cleaning up from dinner and my family has already asked when I will make this again. I had a flat cut 4.1 pounder from Costco and my corned beef connoisseur husband said it came perfect. :) It was easy and no shredded meat like so many other recipes. Thanks for sharing this! Great corned beef recipe. Made it after seeing the video on Facebook. I never get that excited either about cabbage with the corned beef but like others said it had great flavor pressure cooked with the strained cooking liquid. The meat is very tender but not stringy like my crockpot corned beef came. We’re making reubens with the leftovers tonight! Can I use beef broth instead of beer? My husband has Celiac . Yes, beef broth can be substituted. You can also use all water (4 cups total for the recipe). I used cider and it came out quite nice. If the meat is too big for your One Pot, can you cut it in half and stack one on top of the other? If so, should cooking times/processes be altered? We don’t recommend stacking the meat for this recipe. 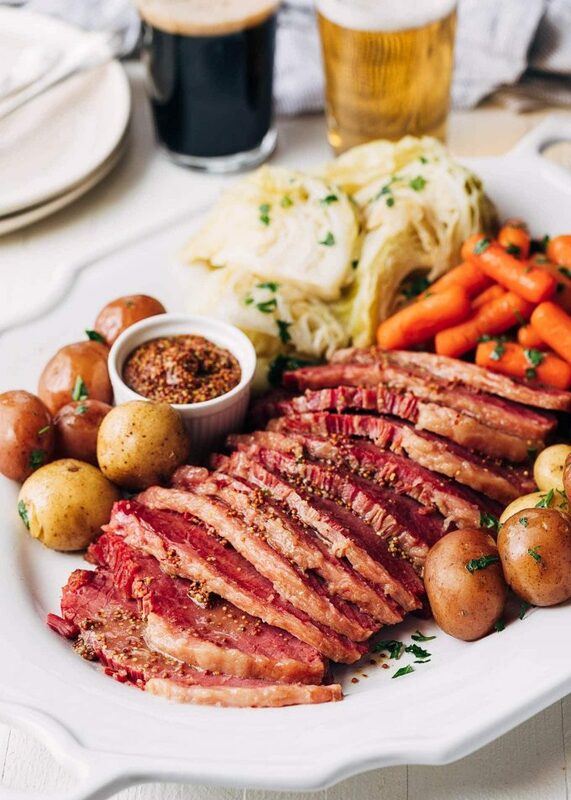 In order to draw the salt out of the corned beef during the cooking process, the liquid needs to reach the sides of the brisket. While we haven’t tested stacking, it seems that doing so would require adding too much liquid to the pot. That said, it’s okay if the brisket touches the sides of the pot in areas to fit, as shown in the video. It was absolutely delicious! I cooked a 4.5# corned beef but is was so sad at how much it shrank down…barely enough for 3 and I only ate 3 ounces. What size would I need to a family of 5 with leftovers? I was SO looking forward to having this for a couple of meals. Hi Dana, we’re glad to hear you enjoyed the recipe! Corned beef does shrink down when cooking, but that sounds like an unusual amount of shrinkage. The standard buying guidelines for corned beef are 3/4 pound per person, up to 1 pound per person allowing for leftovers. A 4.5 to 5 pound cut should easily feed 5. Was it a particularly fatty brisket? Until now… nailed it with cooking times and “doneness”…. of course there’s the obligatory “what I added” on a online recipe… just used some more salt and pepper on the vegetables and salted butter. I loved the recipe and corned beef was awesome. I would like to know if you know why the meat seemed a little salty? Any suggestions. I didn’t add anything other than the original package of pickling spices that came with the beef and the lager beer. We’re glad to hear that you enjoyed the corned beef recipe! By nature, corned beef is very salty, and some brands are much saltier than others. (We’ve even found the same brand to vary quite a bit in salt from year to year.) 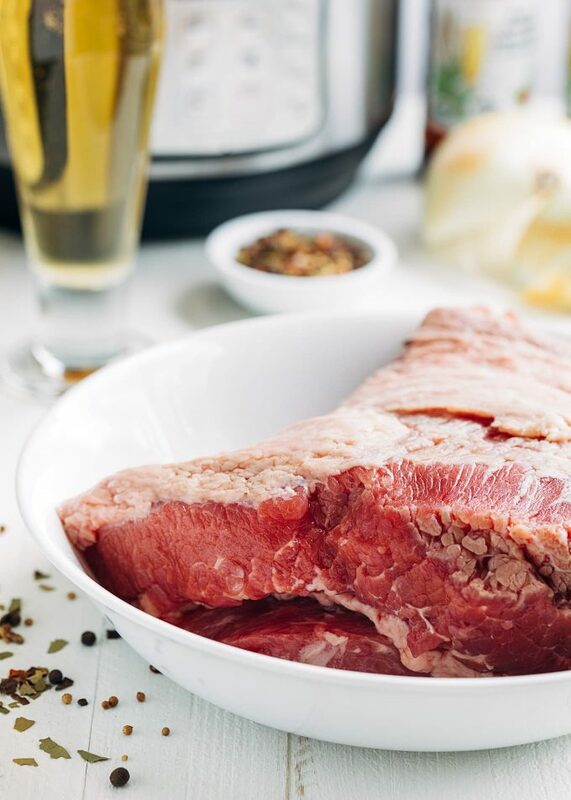 A lot of the salt is drawn out into the cooking liquid during the pressure cooking process, but rinsing the meat before cooking can also help to tone it down a bit. I followed the recipe and I made it perfectly using my instant pot. Thanks for sharing your recipe Miss Amanda, you are awesome. 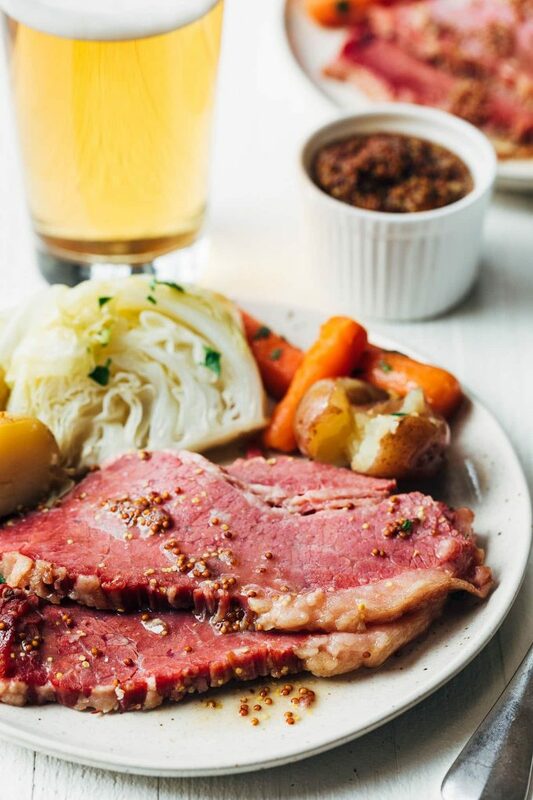 Corned beef with beer is great wouldn’t change a thing. 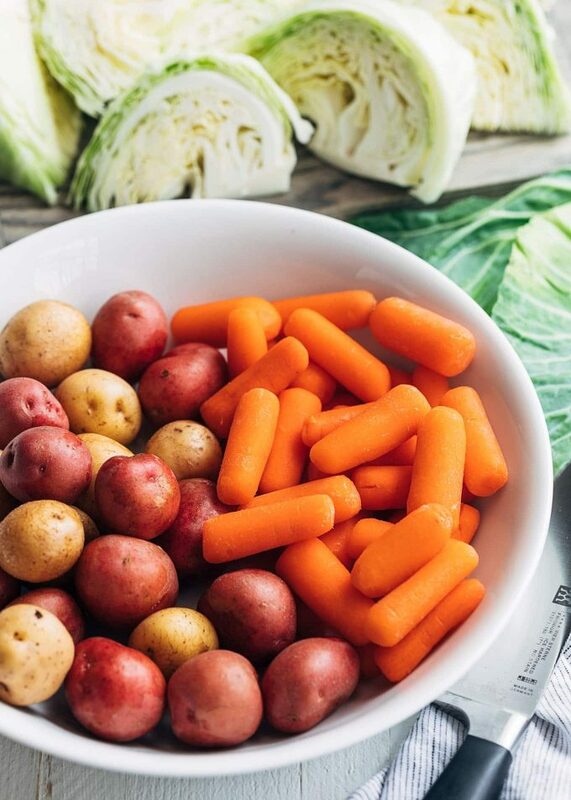 The flavor of the vegetables is much better than other recipes. Best corned beef I’ve ever made. Did a trial run for a St. Paddy’s party I’m having. The meat was very tender without totally shredding and flavorful. This is my new corned beef recipe. 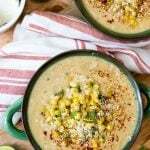 I definitely want to make this but do you have any tips for making this in the 3 QT Instant Pot Duo? Thank you for your question! To make the recipe as written, you’d need a 6-quart Instant Pot. The 3-quart wouldn’t fit a brisket of this size, or the volume of liquid. We haven’t tested this recipe with reduced quantities in the smaller IP. Great recipe. I used a bottle of craft beer and cooked veggies 3 mins. I’d like to try it with the glaze from your other corned beef recipe next. But this one is excellent as it is. The corned beef itself was outstanding! I did embellish the cooking liquid, using amber ale mixed with brown sugar and coarse-grained mustard, but the texture of the corned beef was the best ever, and that’s due to the method, not my flavorings. If you like some firmness in your potatoes and carrots, I’d cut the time for the vegetables in half. After 4 minutes, even with quick-release, we thought they were too mushy for our taste. Thank you for your comment. We are glad to hear that you enjoyed the corned beef recipe. In developing the recipe, most of our taste testers preferred the vegetables cooked for 3-4 minutes. 3 minutes for a firmer bite, 4 for softer. We don’t recommend reducing the time in half to 2 minutes. In our tests, while the baby carrots were crisp tender after that period, the whole baby potatoes were inedible in the middle. This is how corned beef should be. Soft, juicy, and not stringing apart. Thank you for all of your tips. Some food blogs don’t have a lot of helpful writing outside of the recipe but I love how your posts are about the recipe. Good read and great corned beef dinner. I’ll never make corned beef another way again. Fabulous. I only got a little sputter from the beer when I did the release. The flavor it gave everything was amazing. Hubs asked me to buy another corned beef and make it again. Agree with all of the other reviews. This corned beef is perfection. I’m going to try a bigger one in my 8qt and see how it comes. Best corned beef dinner I’ve ever made. Looking forward to sandwiches today. Thanks for the great recipe!